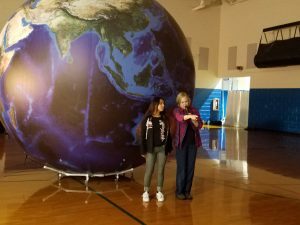 Orbit Earth Expo Visits C.C. Griffin Middle! 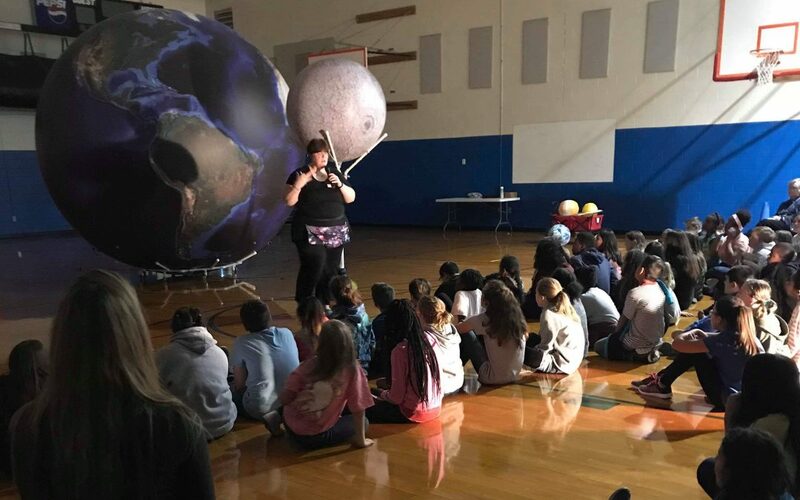 CONCORD, NC – Orbit Earth Expo had a great time with the 6th graders at C.C. Griffin STEM Middle School! It was a dreary, rainy day, but that onhelps our model create shadows for solar and lunar eclipes and of course, the phases of the moon! We had a great discussion around limitations of models (all models have limitations – it’s so hard to get everything right!). Usually, we take 3 guesses regarding the eclipse limitation in our model but no need with these thoughtful STEM kids – one student nailed the right answer on the first try! Our demonstration of the moon’s rotation was also a hit. Students shared with us that one of the Science teachers has a moon demonstration model in his room. 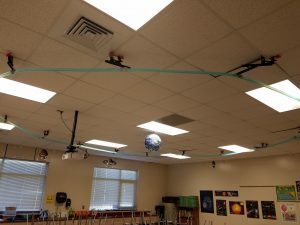 A track along the ceiling holds a moon model, orbiting around a suspended earth model. Best of all, it mimics the moon’s rotation as it moves along the track. All in all, it was a great day full of learning for the 6th graders of CC Griffin STEM Middle!